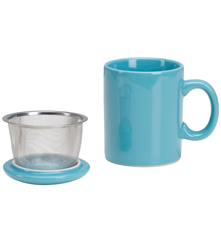 Set your tea bag or infuser in this tea caddy and infuser holder to keep your table mess-free. 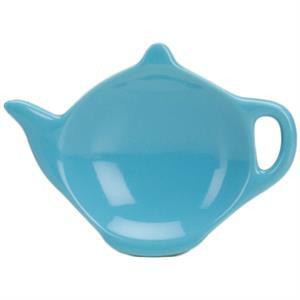 Set your tea bag or infuser in this adorable tea caddy and infuser holder. The dish is just deep enough to hold your stainless steel tea infuser or tea bag without dripping on your table for a mess-free solution to sipping tea. 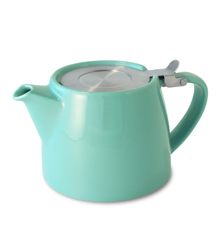 Made from durable ceramic, it is glazed with a delightful turquoise color that is sure to brighten your table. Microwave and dishwasher safe.